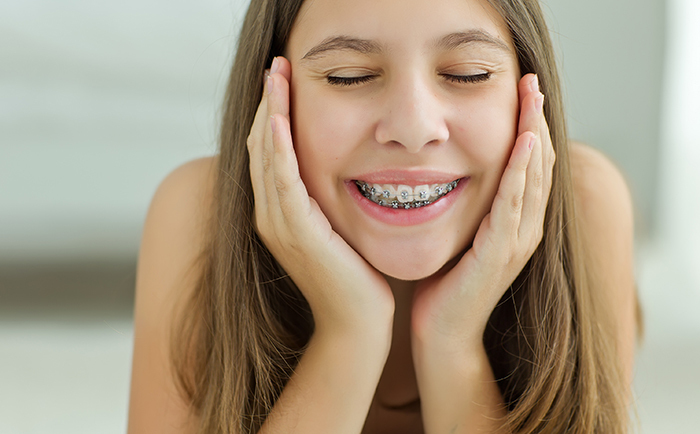 Braces use a bracket and wire system to gradually move your teeth into a new desired position. The treatment provides a beautiful, healthy and functional new smile. Braces are a reliable, proven orthodontic solution that will achieve a number of smile goals. But exactly how long will you need to wear braces to straighten your teeth? Most orthodontists find that their patients would like treatment completed as quickly as possible. The average patient will only need to wear their braces for around two years to effectively straighten their teeth. But, some patients will need more or less time depending on the severity of their case. What Factors Determine How Long You’ll Need Braces? How long you’ll need to wear braces to straighten your teeth is dependent on the complexity of your individual case. Another factor that will effect the amount of time you will need to wear braces is your genetics. Genetics will play a role in how well your teeth respond to treatment. However, there are actually a number of factors that go into how long you will need to wear your braces, but the most significant factors are the severity and complexity of your case. If your case is complex and requires an intensive treatment program, it’s important to understand that your overall treatment time may be longer than average. Genetics and making sure you don’t miss a scheduled appointment are two additional factors. Some patient’s teeth respond well to treatment and move to position at a faster rate than others. Similarly, missing appointments has the potential slow the rate that your teeth move, adding additional weeks to treatment time. The best way to know what you can expect with your treatment is to talk to your orthodontist. Before your orthodontist recommends a treatment, they will evaluate your smile. The evaluation will help to determine which treatment plans may be right for you and your lifestyle. Based on their recommendations, you will gain an understanding of what you should expect throughout your treatment. This includes how long you will need to wear your braces to straighten your teeth, in order to achieve that beautiful, healthy and functional smile. To speak with an orthodontist about your treatment options, book a consultation with Medland Orthodontics in Brisbane or the Gold Coast.